When the summer sun starts to make you sweat in places you wish it hadn’t, it’s important to make sure your air conditioning system is 100 percent functional. Wm. Price Heating & Cooling in Girard, OH, has a team of skilled HVAC technicians prepared to make sure your sweat glands aren’t overworked by offering timely and efficient air conditioning repair and installations. Since 1937, they’ve been the unmatched HVAC contractor of Trumbull County, exceeding expectations and ensuring comfort is met for residential and commercial customers. If it’s your air conditioning system that needs an expert diagnosis, this team has you covered. Backed by their decades of experience, the crew at this HVAC contractor has seen just about every issue a cooling system could have and are perfectly suited to diagnose and repair your troubled system. Their cooling services include: Air Conditioning Repair Air Conditioning Installation Ductless HVAC While they specialize in cooling during the summer months, that doesn’t mean you can’t call them when the temperatures outside drop. 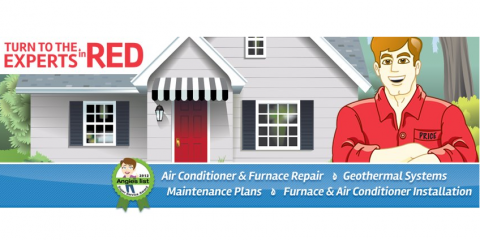 Their heating services are sure to keep your home or business warm, whether you have a traditional furnace or you want to equip your home with geothermal heating. They’ll provide you with the most efficient system your property can take at prices you can afford. Get the cooling and heating services you require when you choose Wm. Price Heating & Cooling as your source for repairs and service. They also offer 24-hour emergency service to better meet the needs of their customers. Call this HVAC contractor today at (330) 545-3722 or visit them online to request service. You can also find them on Facebook and Twitter for more information.